Archbishop Carlo Maria Viganò issued an extraordinary statement Saturday alleging that Pope Francis had a direct role in covering up the widespread culture of child abuse among the Catholic Church leadership. A former apostolic nuncio to the United States, Viganò issued an 11-page statement detailing allegations against several senior prelates of complicity in covering up Archbishop Theodore McCarrick's crimes against children. Viganò also claimed that Pope Francis knew about sanctions imposed on then-Cardinal McCarrick by Pope Benedict XVI over the sexual abuse against children yet Pope Francis repealed the sanctions anyway. 77-year-old Archbishop Carlo Maria Viganò served as apostolic nuncio in Washington D.C. from 2011 to 2016. Viganò's statement says in the late 2000s; Pope Benedict had "imposed on Cardinal McCarrick sanctions similar to those now imposed on him by Pope Francis." Viganò also revealed that he had personally informed Pope Francis of those sanctions in 2013. 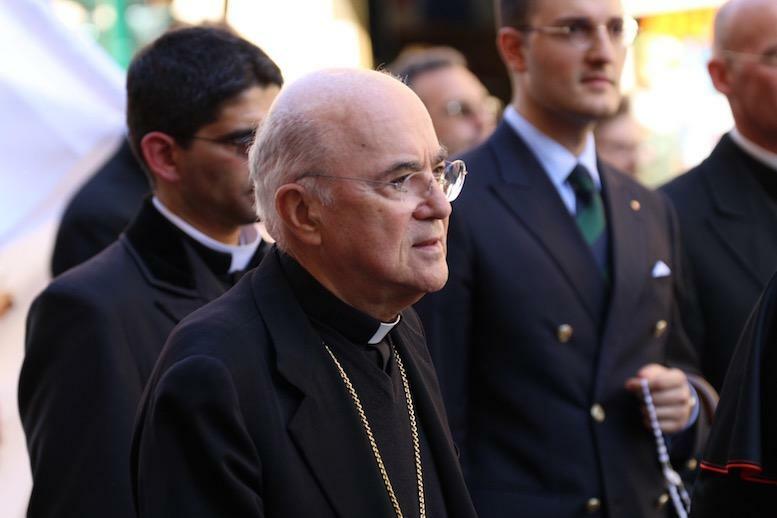 The ex-nuncio says Pope Francis "continued to cover" for McCarrick and not only did he "not take into account the sanctions that Pope Benedict had imposed on him" but even made McCarrick "his trusted counselor."